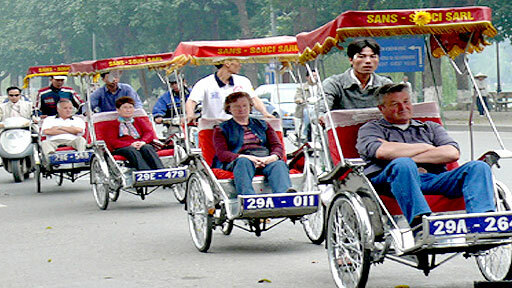 The number of foreign tourists to Vietnam grew by 7.9% month-on-month in February to 756,000, announced by the Vietnam National Administration of Tourism (VNAT) on February 27. Thus, the total number of foreign arrivals to Vietnam in the first two months of this year is estimated to reach nearly 1,456,700, down 10% against the same period last year. In terms of mode of transport, 1,172,717 of them travelled by air while 13,904 by sea and 270,072 by land. In the reviewed period, the predominant increases came from Finland (up 59.2%), the Republic of Korea (55.1%), New Zealand (44.4%), Italy (40%) and Spain (31.7%) while those witnessed a decline, including Hong Kong (down 51%), China (40.3%), Taiwan (27.4%), Russia (25.7%) and Laos (18.3) against last year. The number of domestic visitors in the first two months is estimated at 12.5 million. The tourism sector’s total revenue hit VND67,798 billion, a year-on-year increase of 6.6%.